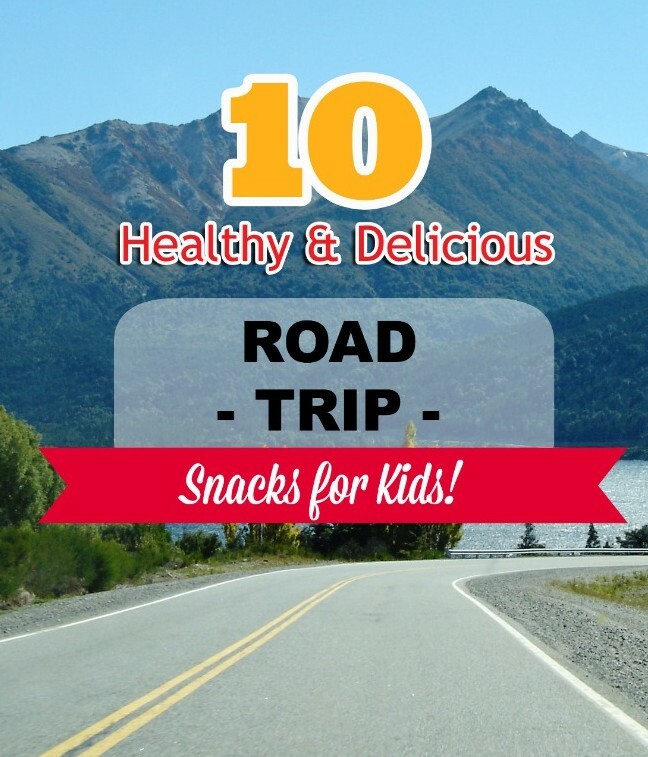 10 Healthy & Delicious Road Trip Snacks for Kids! It’s almost summer time, and my family loves to hit the road in random intervals. We can pull a whole road trip together for the family and be floating along the highway in the blink of an eye! While there are several road trip essentials when traveling with children, we have found snacks to be the most important by far. When you’re traveling with a child who has a peanut-allergy, it just isn’t worth it taking any chances in grabbing something “quick” along the way. That’s why we make sure our healthy, peanut free snacks are the very first thing packed in the vehicle before we roll out! 1.) Air-blown popcorn – Kids… and adults…. and, well, everybody likes popcorn. The air blown popcorn is just as delicious as its buttery and/or cheesy counterparts, with far fewer negative effects on your diet. It’s also easy to separate into Ziploc bags and send them on their way. Pour a little cinnamon and sugar on it if they prefer a sweet twist! 2.) Homemade Trail mix – This is great because it can, essentially, contain whatever you would like it to. We opt for granola over nuts, of course, and throw in pretzels, raisins, craisins, and other dried fruit. 3.) Fresh Fruit is a great road trip snack. Package them into handy little bags and easily distribute and clean up. Grapes and peeled oranges are some of my kids favorites. 4.) Fresh Veggies, just like fruits, are quick and easy to take along on a road trip. Carrots and celery go over well. You can even throw in a small container of ranch if you’re feeling brave! 5.) Cheese and crackers – a staple snack. Simply slice the cheese and give each child their crackers in a Ziploc bag, and you’re ready to hit the road. 6.) Hard boiled eggs – Off the bat, this might sound like a weird snack for a road trip with kids. They actually taste great, are healthy, and are quick and easy though… so they made our list! Be sure to keep these chilled in a cooler or insulated lunch pail. 7.) Yogurt – another cooler item that is great for road trips. The go-gurt kind even eliminated the need for a spoon, as the children eat them right out of the package. 8.) Sandwiches – whip up your child’s favorite sandwich and have it ready in a Ziploc bag when they decide they’re hungry! 9.) Sweet potato crisp are an awesome alternative to potato chips. They are sweet too, which is an added bonus for the kiddos! 10.) Pita chips – Pita chips are another great healthy junk food alternative for your road trip! They come in a variety of flavors, so you are so to find one that agrees with your children’s taste preferences!